The Nokia 1 is on the bottom of the chart containing the new Android smartphones launched with the Nokia brand name by HMD Global since the resurgence of the brand last year, and as expected, it's a basic smartphone with low-end features and a budget price. But it's not all low-end as we are used to. The Nokia 1 comes with Android Go, a build of the latest version of the Android operating system, Android 8.1 Oreo that's designed to run efficiently on low-end and entry-level smartphones like the Nokia One. That means you get the latest software features available in the Android ecosystem on a phone that costs less than a hundred dollars. Fair bargain, if you ask me. The Nokia 1 also brings something back from the old Nokia we all knew -- Nokia Xpress-on covers that make it as easy as a case swap to change the look of your smartphones. This is made possible by the design of the device, which has the front covered in black bezels and a silver frame, and the entire back and part of the frame covered by the Xpress-on cover. That way, you can simply use an Xpress-on cover with another colour of your choice, and you get a fresh-looking device. Other features of the phone are pretty basic, but they're not disappointing. The display is covered with a 4.5-inch IPS LCD FWVGA screen and the phone is 9.5 millimetres thick, even though the battery has a capacity of only 2,150mAh. 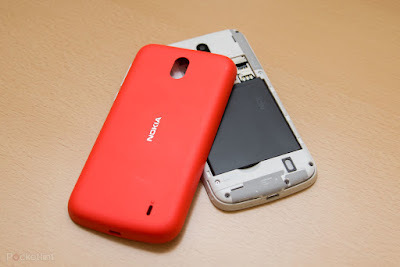 The Nokia 1 is powered by a 1.1GHz Quad-core MediaTek MT6737M processor paired with a Mali-T720 GPU. It has 1GB of RAM for multi-tasking and 8GB of internal storage that can be expanded up to 128GB via its external hybrid micro-SD/Nano-SIM slot. Its 5MP main camera takes decent shots that are brightened by its accompanying LED flash, but you can't expect much from the 2MP camera on the front. For a budget smartphone, the Nokia One supports a wide range of (global) 4G LTE bands, even more than you would find on a far more expensive high-end smartphone. 4.5-inch IPS LCD display with FWVGA (480 * 854) pixel resolution. Dimensions: 133.6 * 67.8 * 9.5 mm. 1.1GHz Quad-core MediaTek MT6737M Processor. 8GB Internal Memory, expandable up to 128GB via microSD. 5MP Rear Camera with Autofocus and LED Flash. Wi-Fi 802.11 b/g/n, Bluetooth 4.2 LE. Android 8.1 Oreo (Android Go). 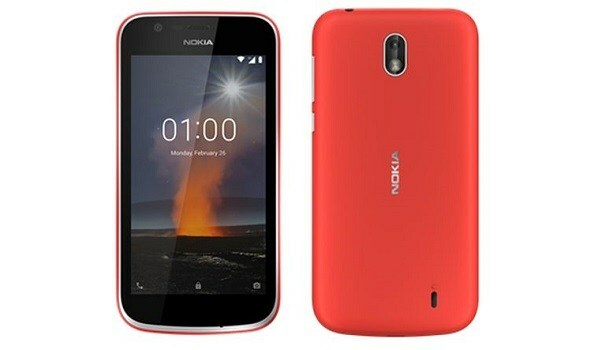 The Nokia 1 is already on sale for $85, and is available in Nigeria for around N25,000.